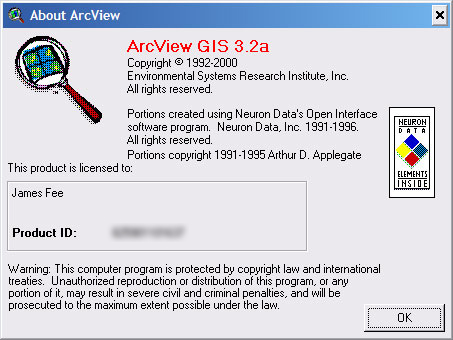 Well anyone who has ever taken a look knows that ESRI software doesn’t report the service pack (though ArcView sort of reports that it has the 3.2a “update” installed). 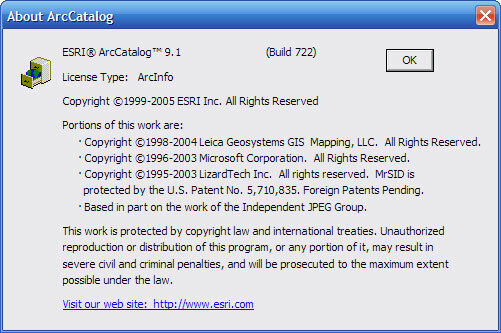 ESRI is nice enough to have a “Service Pack Finder” tool available on their support site that identifies what version you have installed and if there is an update. Now as to why they do it this way, I’m not really sure. 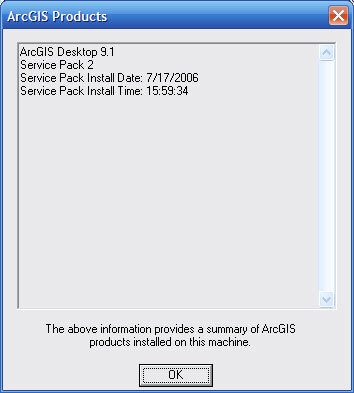 I suppose it is for customer support, but you’d think they could put the Service Pack number next to the build number.